Capture presentation and edit video to improve workflow for you and your colleagues. We often need some professional video presentation tools that can help us to manage content for tutorials or presentations with ease. There are so many advanced software tools developed by various professionals that can help you to meet your requirements. Educators as well as business owners can have their own preferences about feature set depending upon their own specifications. The list below provides information about two popular types of presentation maker tools: Animation Video Presentation tools and Video Presentation Tools. Both of these have their unique importance and applications. You can pick any of these popular products as per your budget and feature preferences. 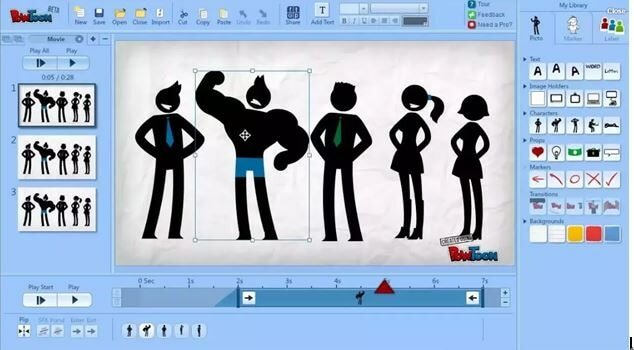 It is now much easier to engage your audience on specific content that can appear simple and short with Powtoon. This software tool is rated to be highly useful as compared to all competitors due to its interactive workplace. You can develop a highly interactive video tutorial within 20 minutes by using its feature rich library with so many ready-made templates. Users can easily drag and drop templates to desired locations and a personalized video tutorial can be developed with ease. The best thing to know about PowToon network is that it offers extra support to all users with webinars and training center support system. 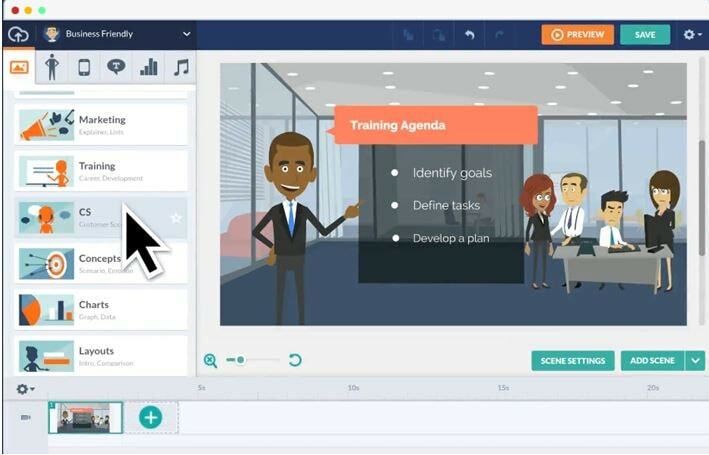 There are three major applications of PowToon: it can be used to manage workplace learning platform where attention of colleagues and boss can be easily grabbed with its advanced tools. Other two potential applications are in the field of education and for personal interactions. Animaker works with simple steps: simply click on your content, choose desired things; drag them to your workspace and drop at desired locations. You can edit things as per need by using its feature rich platform and finally hit the play button when everything becomes ready. 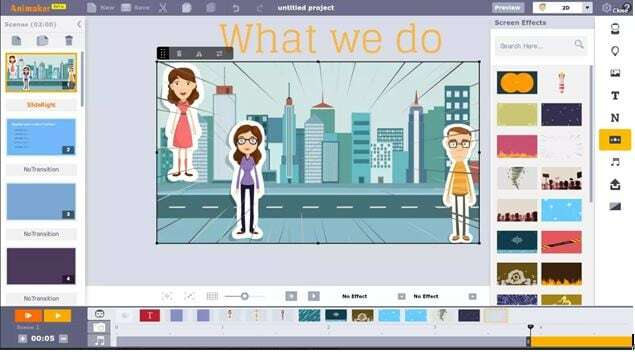 Animaker supports five popular video formation styles: animaker for 2D videos, Animaker for 2.5D, Animaker for Handcraft, Animaker for Infographics and Animaker for Typography etc. This professional presentation creator tool is being popularly used for business related presentations, storytelling needs, for education purpose as well as for personal communication. You will be happy to use this incredible platform for free. GoAnimate makes everything much easier in the life of a presentation developer. It is possible to create classic results without trouble. All that you need is an active internet connection and it will work without any essential setup. There are so many easy to use tools that fit your budget and can make your videos impressive. You just need to start with one subscription package and then everything becomes much easier for you. Most of its powerful tools can be accessed with click on mouse and scenes can be created with easy drag and drop functionalities. The lip synch feature at GoAnimate platform is automatic and it naturally adjusts voiceover narration issues. Most of the industry professionals love to use this platform for development of interactive presentations. This name is well known among the list of all rounder software tools that can be used for development of interactive videos and presentations. There are so many things hidden inside easy to use interface of Filmora and its fast processing tools make everything much simpler for beginners. You can correct lens distortion issues with ease and audio signals can be cleared with fast processing tools. The best part is its trim and merge tool that assists educators in development of highly interactive tutorials for students. Everything can be exported with ease and it supports all popular file formats with high resolution recording facility. The free version of filmora is also able to record videos without watermark so beginners can start with Filomora right now. 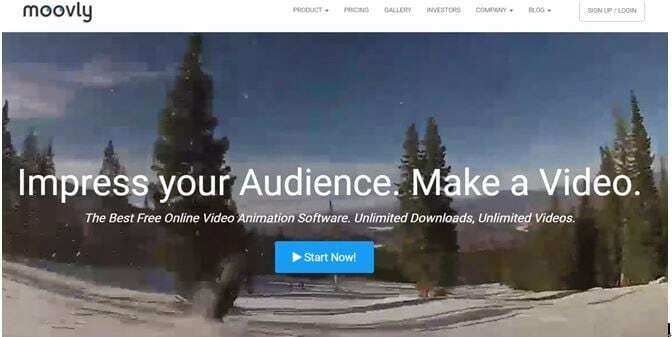 Here is world’s simplest video creation tool for professionals as well as beginners that make everything easy with its interactive user interface. This professional quality software will provide you videos with awesome quality as its unlimited animated style options are much easier to apply. Users are free to pick live actions as well as photo clicks from their devices and they can be transformed to much stylish version with simple editing tools for Bitable. You can also access few pre-developed templates to create videos efficiently. Beginners can develop their content within very less time and sound can be customized over video content. Everything on this platform is free. This tool is popularly used for sales, marketing, communication, business, education and freelancing needs. Users can pick great collections from their devices with ease and they can be further edited to develop classic videos within few minutes. You will also be able to customize content and then share it directly on social media platforms with other friends. The multi layer version of timeline males everything much interactive and provide efficient control to developers on their creations. It also offers a free mobile application that can help users to capture content from anywhere with ease. It offers drag and drop type tools whereas customization options are also very interactive. It is available for free. It can make impressive videos for you with rich content quality and they can be used for marketing needs with ease. If you want that your customers must be able to notice your specialties then it is good to choose a professional tool for your content creation. It can offer you amazing platform for showcasing your abilities with creative tricks. Everything ranging from text, video to photos can be customized here and once your content is finalized then it can be shared on other platforms with ease. Animoto provides better interfacing with social media and is preferably used for professional level professional photography tools. You can start your free trial right now with so many interesting features that can immediately make your content noticeable. Most of the facebook marketing experts love to use Animoto for their needs.